Winter is a wonderful time to visit New Zealand because of the extraordinary snow experiences, exciting winter festivals, amazing geothermal wonders, spectacular Southern Lights and the unique Maori New Year celebration. Apart from those attractions, a winter road trip is also a popular activity in the country as it gives tourists a chance to see snow-covered mountains, remarkable glaciers and bustling ski slopes. There is plenty to see and do in New Zealand, and the scenery through the winter is stunning. If you are heading to the South Island you can explore the Southern Alps, see the highest mountain in New Zealand and enjoy uninterrupted views of the starry skies. VroomVroomVroom has put together a list of some of the top road trip itineraries in New Zealand that you can enjoy this winter. The Winter Festival in Queenstown. New Zealand Steampunk Festival in Oamaru. Food and Wine Classic in Hawke's Bay. How can you make the most of winter in New Zealand and try your luck at all of the top rated ski slopes? Take a trip from Queenstown to Wanaka. Queenstown is full of life through the cold winters, when snow sports enthusiasts flock to the city to test their skills. 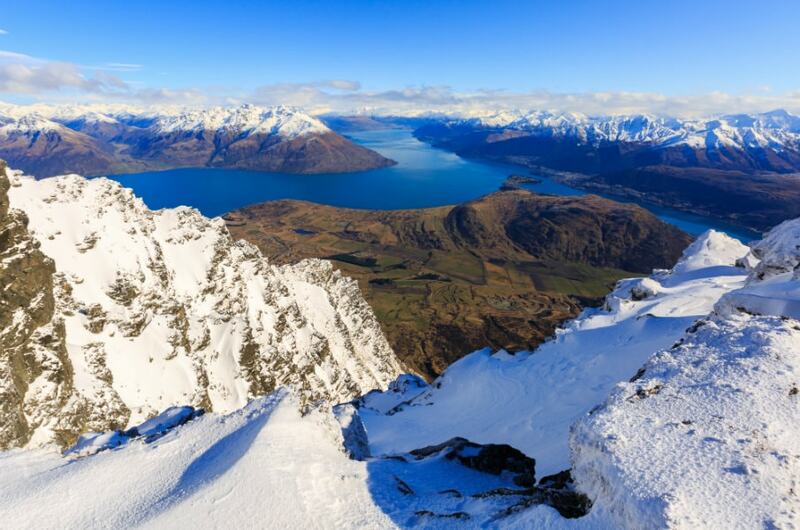 Head to Coronet Peak or the Remarkables and experience the famous ski fields. Check road conditions before crossing the Crown Range Road toward Wanaka. The road offers many scenic lookouts, and access to the popular Cardrona ski field. From Wanaka, you can also visit Treble Cone. Winter Tip: If the Crown Range Road is closed, or you are not comfortable driving in these conditions, you can still get to Wanaka. Just take the highway via Cromwell and you'll be able to still experience everything Queenstown's northern neighbour has to offer. From the South Island's largest city, Christchurch, you can access idyllic hot springs to help ease the frosty winter conditions. Before you head to the springs, explore beautiful Christchurch, a town that has been rebuilt following recent devestating earthquakes. You can explore the historic centre by tram and rug up to enjoy a stroll along the Avon River. Just two hours up the road, you'll find Hanmer Springs. Relax in the thermal pools to escape the cold weather. If you want to hit the ski slopes, the area offers fantastic skiing opportunities, as well as plenty of great hiking trails. 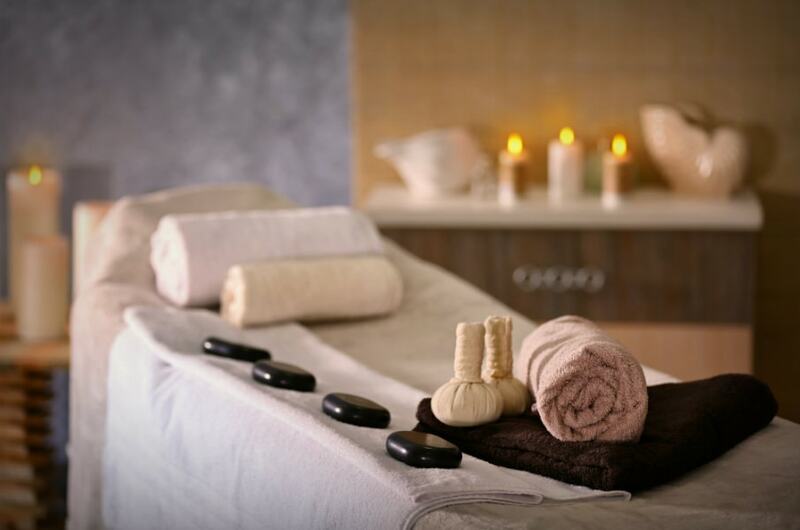 Winter Tip: Once you've finished warming up in the thermal pools, there is nothing better than enjoying a massage at one of the beauty spas in Hanmer Springs Village. Not interested in braving the cold and experiencing the snow? Don't worry - New Zealand is a country of many climates, and you will be able to find sunshine in the beautiful Bay of Islands. Before exploring the islands, start your journey in Auckland, where you can celebrate the Matariki Festival and learn more about Maori culture. Head north to Paihia, where you can take boat tours even in the winter time. 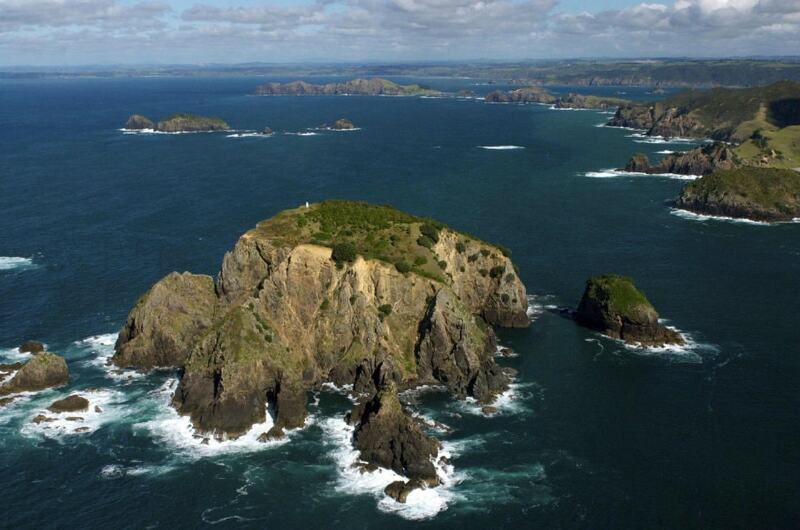 To finish off your journey, head to Cape Reinga and enjoy some stunning coastal views. Winter Tip: The weather is mild in New Zealand's north during winter, but if you are visiting from a hotter climate, make sure you still pack some extra layers! Start your journey in Rotorua and explore the geothermal wonders that have made the city internationally famous. Wai-o-Tapu is one of the best places to witness the volcanic landscape of the area. Continue south to Tongariro National Park and the iconic Mt Ruapehu, home to New Zealand's largest ski area. On the Turoa Ski Field even beginners can have a go. 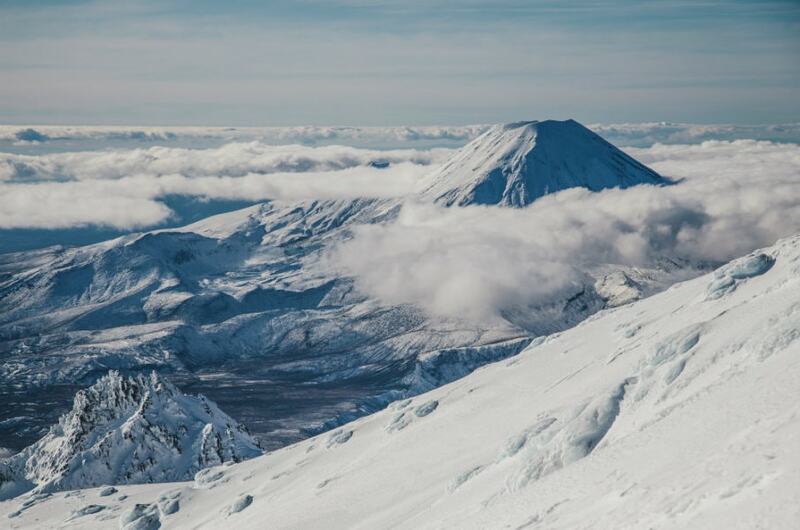 From the top of the mountain, you'll have some fantastic views over the region, including Mount Ngauruhoe. Winter Tip: Get to Wai-o-Tapu early in order to see the impressive eruption of the Lady Knox Geyser. You'll need to be in the park before 10am in order to see the spectacle. As winter is not the peak season in Rotorua, you should be able to get a great seat! When you travel in winter . . . If you're planning to take your rental car past the snow line, you may need to purchase additional protection products. In some areas you may also be required to carry snow chains. Always keep up to date with weather conditions, and be prepared to alter your plans if the conditions become too dangerous.